I was hoping you’d release a pattern or tutorial for this! I have a layer cake that I couldn’t resist and I’ve been waiting for just the right pattern for it. Thanks so much!! Fabulous tutorial! The step by step instructions and pictures are wonderful! Can’t wait to make one. Thank you! Thank you for this excellent tutorial! I look forward to making this quilt one day. Yours is beautiful! I think I’ll have to try this with a layer cake, so very pretty! 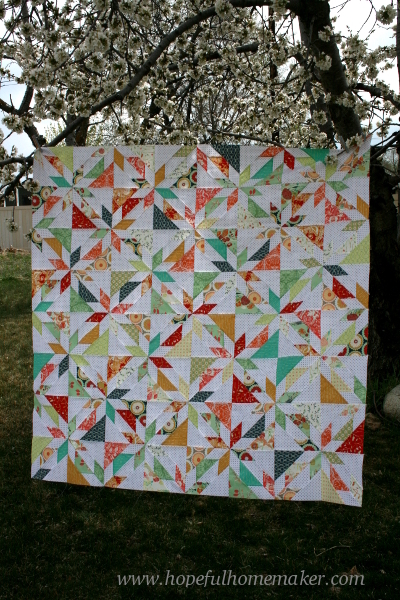 Thank you for posting your beautiful quilt with such an easy to follow tutorial with great photos. Thank you so much for these fantastc instructions. 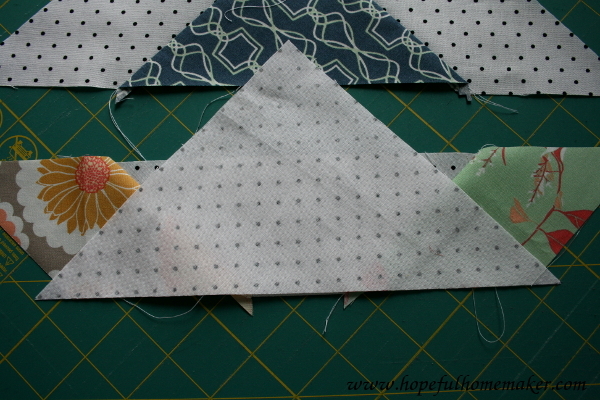 I have wanted todo a hunter star quilt for years and was fearful of all the points and the cutting. 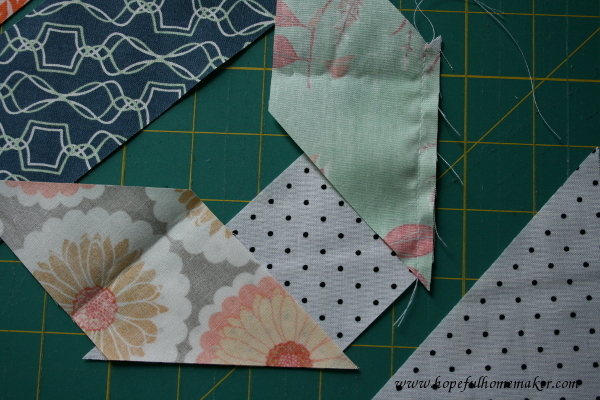 I tried a sample block to see how it would go by your instructions and it was so easy. 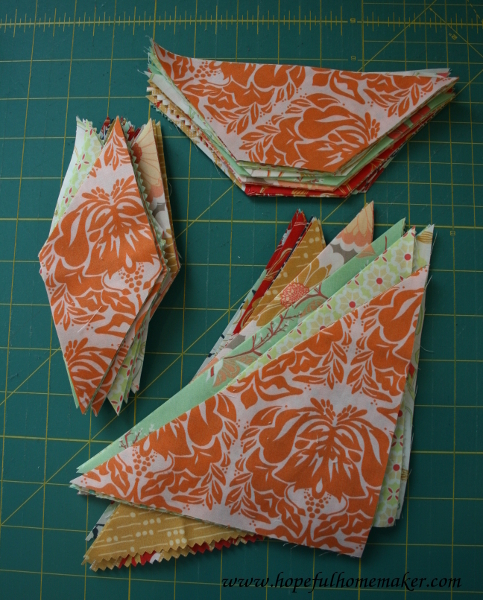 Your instructions were so helpful as to the piecing together and especially the pressing. Now I am ready to pur hase the layer cakes. Thank you so much for the tutorial and not having to buy another template. 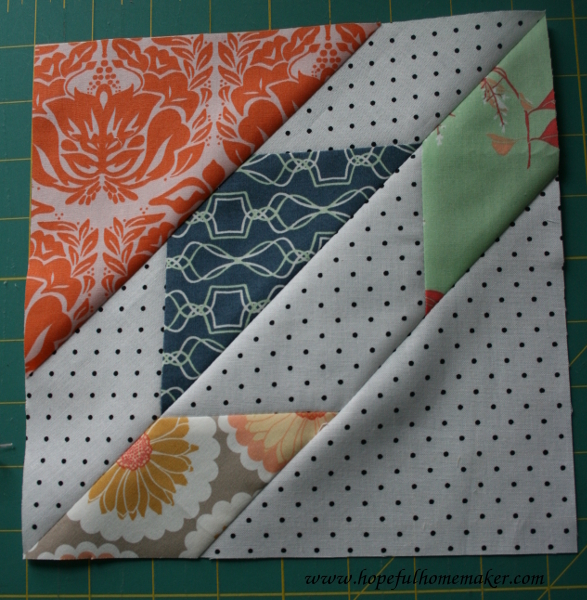 I love your quilt and tutorial. I really love your red hunter’s star. I have an obsession with red quilt fabric! 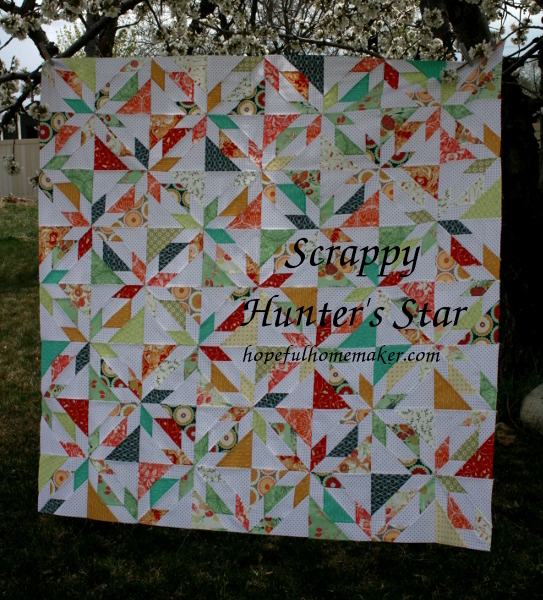 Is the red hunter star constructed in the same easy way as your 10″ square “scrappy” hunter’s star? 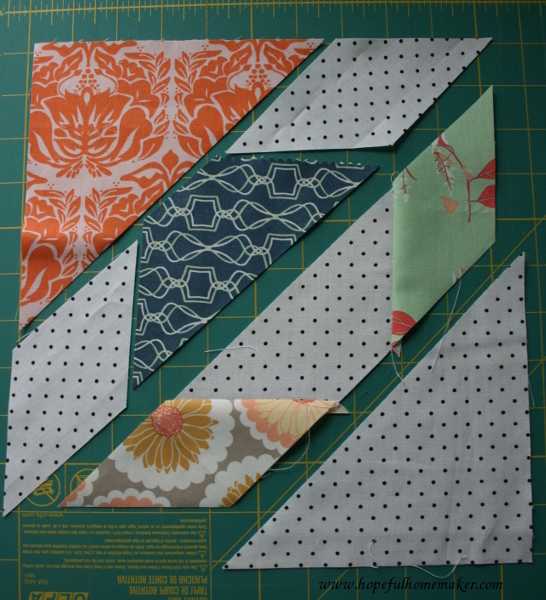 I’ve never seen such an easy way of making this complicated looking quilt. Thank you so much! I can so do this! You are brilliant. Seriously. 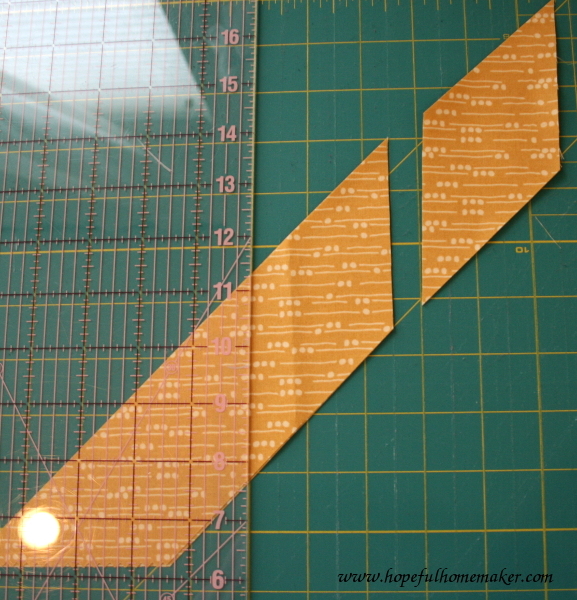 I have always wanted to make this pattern and just knew there had to be an easier way, but I couldn’t figure it out. Thank you for doing this and sharing it with other quilters. You rock! Dear Jennifer, Thank you for this. I haven’t quilted for years but got the urge again after seeing a Hunters Cross quilt. I thought it looked too difficult but after finding your tutorial I feel inspired again. God bless you. Thanks for a fantastic tutorial. Can’t wait to try it! Thanks for sharing! 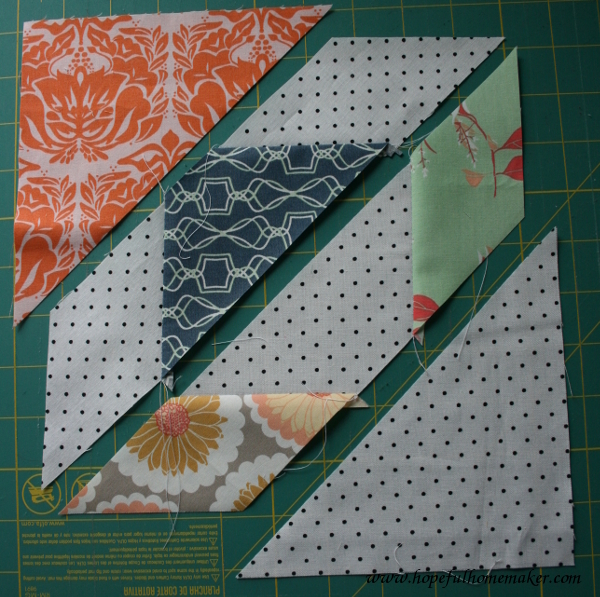 I really like this pattern & often thought of how it would look in scrappy… I like scrappy ’cause seems like using same color/pattern would be boring therefore I need to reduce my stashes anyway!!!! I really love this quilt and the colors it looks so fresh.. Can you tell me how many of the Reminisce range of fabrics you used in this quilt. I have tried to count them but I think some of the fabric is the same. 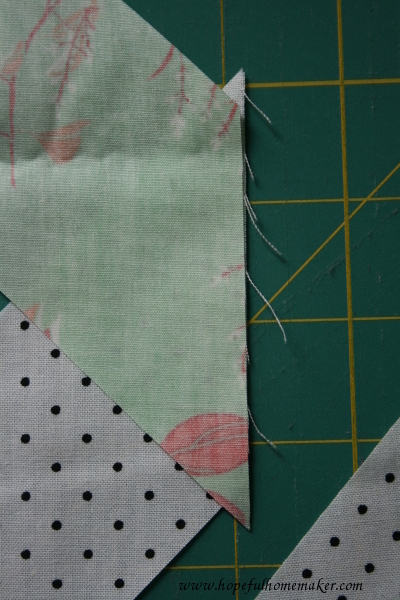 I am having trouble locating a stockist of Bonnie Christine’s fabrics here in the UK but will keep on hunting. Thank you so much. 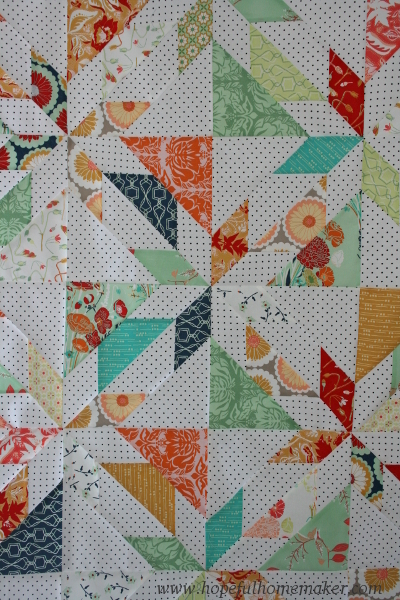 Oh I am so happy to see this wonderful quilt done in such an easy, straight forward way. I’ve wanted to make this forever. Now I can! 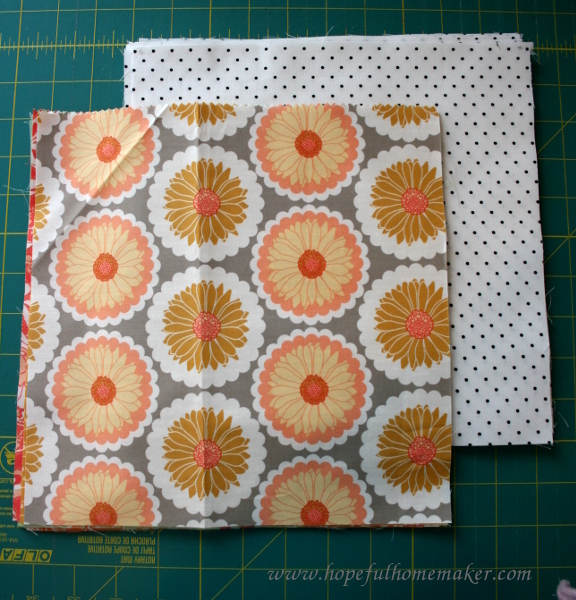 I just have to figure out how to do it without using a layer cake because I have too much yardage in my fabric closet! Thanks again for your help and expertise. I found a layer cake yesterday that I fell in love with. I left it at the store because I couldn’t find a pattern that I liked. Browsing this morning I found this one and I think it will be perfect. Back to the store and the layer cake is now mine! 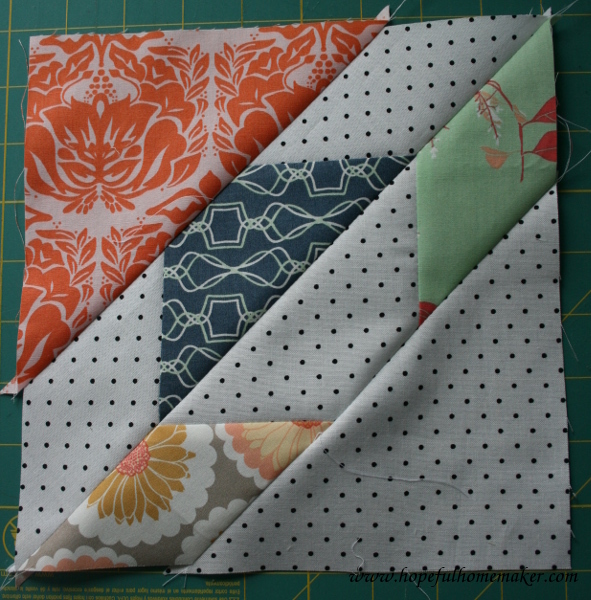 Can’t wait to make the quilt! 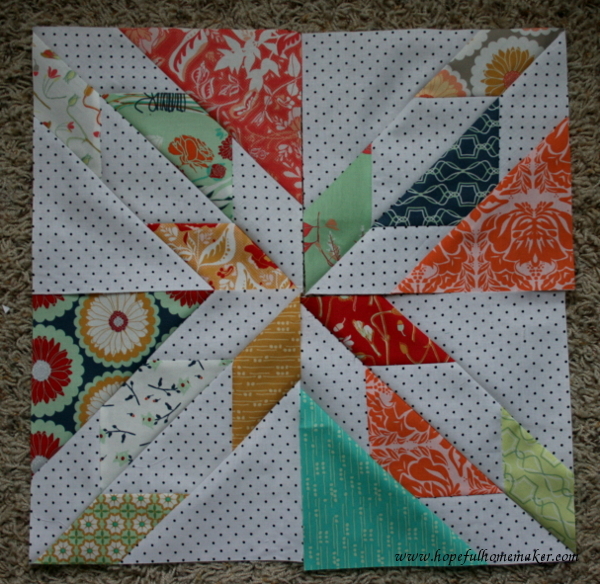 I would love to get that great white with black dots you used for the background in this scrappy Hunter star block! Can you tell me the specifics on this fabric? Manufacturer, etc.? TIA! As soon as I saw this tutorial on Pinterest, I knew I had to make it! Using an assortment of Kaffee Fassett fabrics. 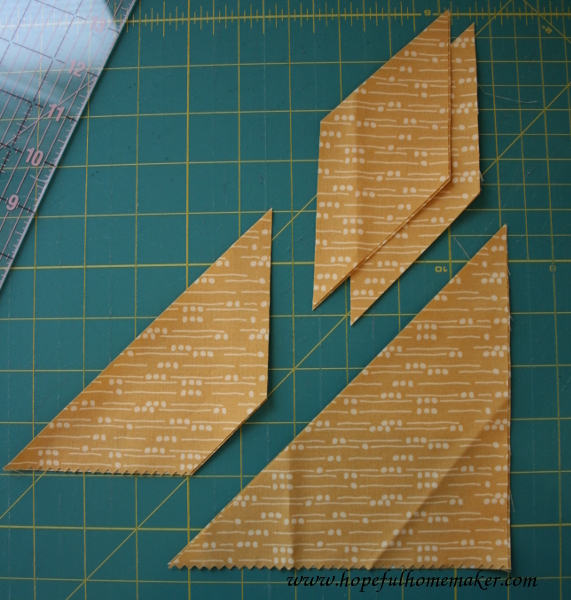 All cut and on my design board waiting to be sewn. 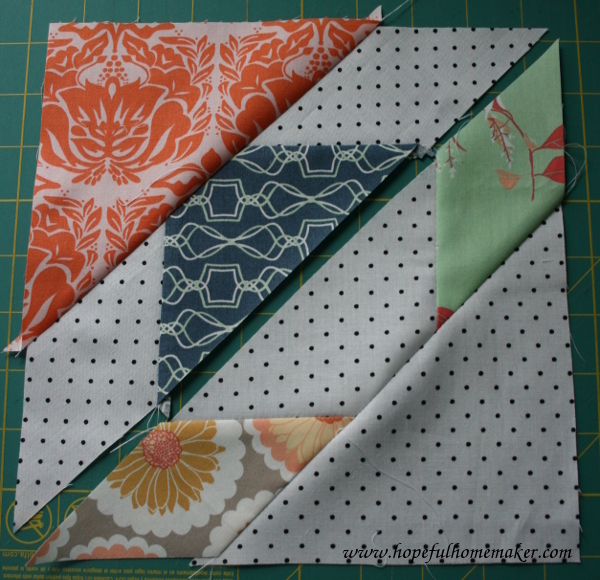 So easy and absolutely gorgeous block! 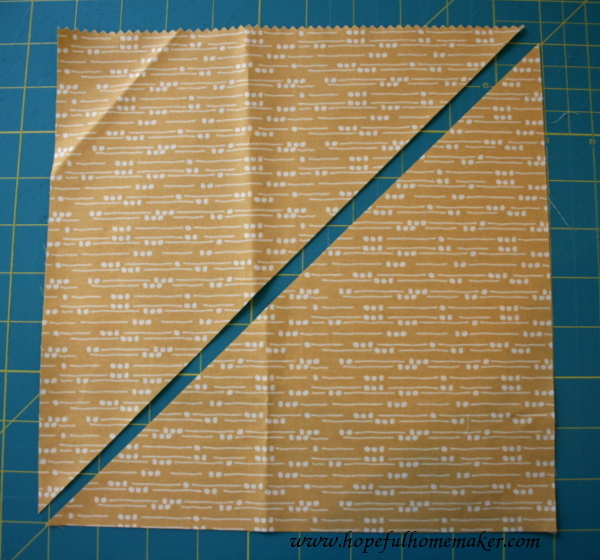 Just finished making the top using your tutorial and it was super easy and fun! Used a mix of colors and patterns from Kaffe Fassett with a neutral small dot for the solid. Making it for a gift but love it so much will be hard to part with 🙂 Thanks again! 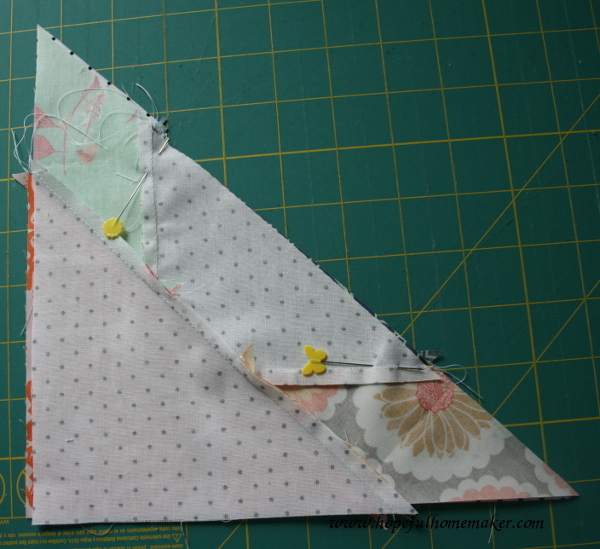 I love this pattern, you have made it look so easy. I can’t wait to try it. Thank You So Much for sharing this tutorial. Love this quilt the colours are lovely. 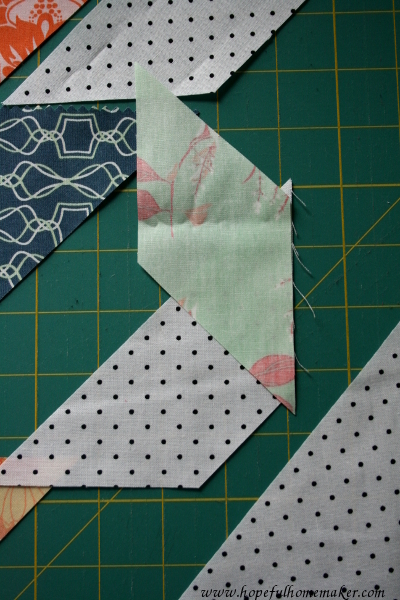 I have been looking for a quilt pattern to make a quilt for my son (30). I have a whole pile of various sea blues so I think I will use your tutorial which is very clear and sort them into lights and darks. and use the lights as the background, wish me luck. Thanks for the clear instructions. That is a beautiful hunter’s star! Thanks for the tutorial. 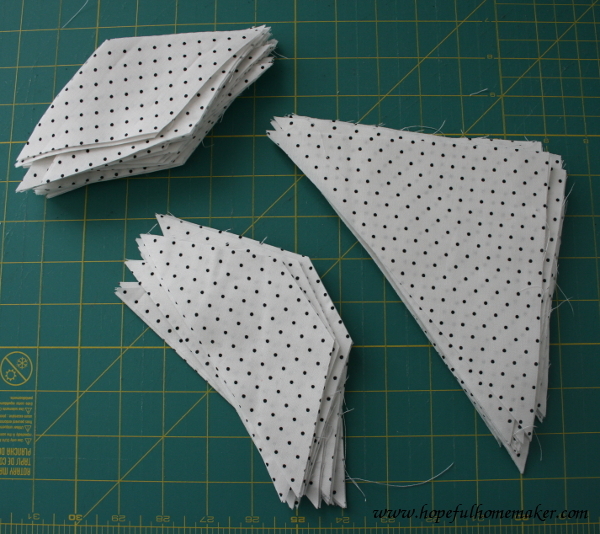 Have bought the fabric so here we go thanks for sharing the pattern. I am planning on making a Hunter’s Star with a batik layer cake and a cream layer cake – I am so glad i found this tutorial! Thanks for the great tutorial. I just bought a pretty layer cake this week and can’t wait to try this method. Thank you so much for the Hunter Star pattern! I’m new to quilting and I was able to follow your instruction finished a sample block today and was so happy. Off to the fabric store! 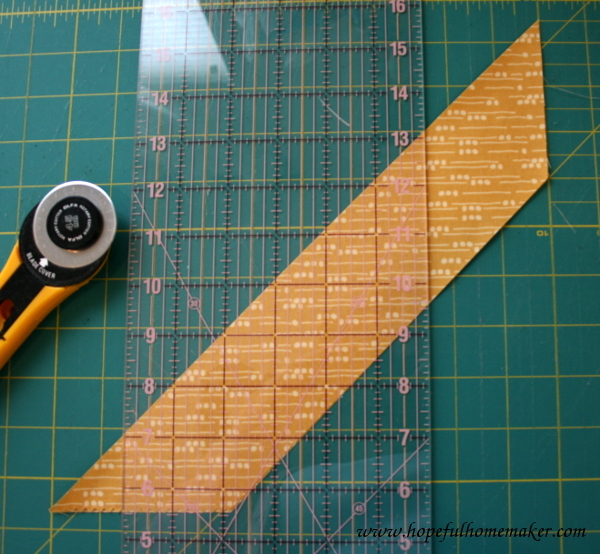 Fantastic – I love this star and thank you for sharing the instructions. 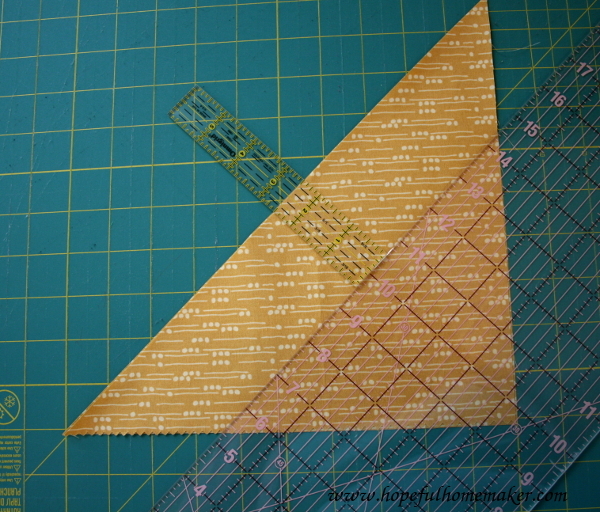 Thank you for this tutorial, Once I started, it was like peanuts, couldn’t stop I am having lots of fun with this way of making the hunters Star block. Thank you for your comment! 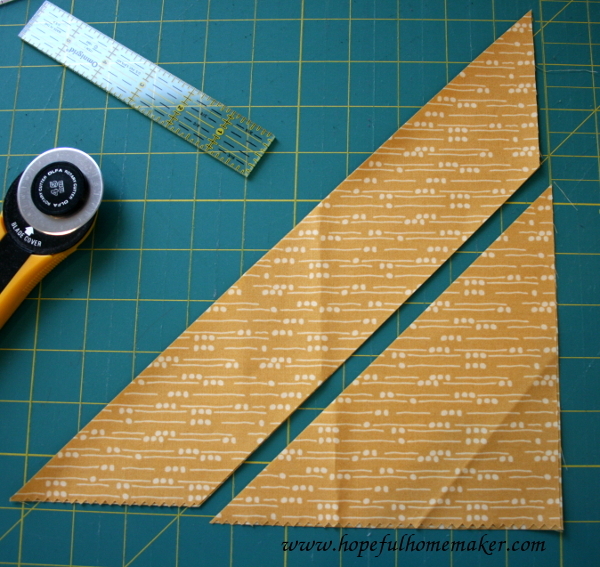 I’m so glad we came up with the same measurements- it’s a great pattern and lots of fun to make! 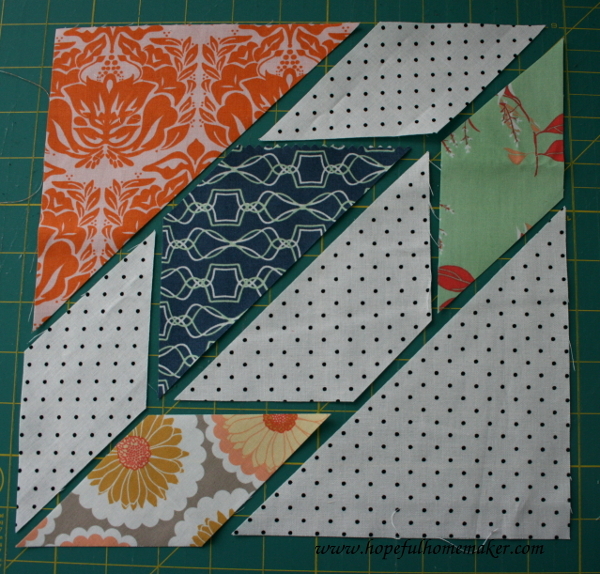 I am anxious to make this block and the quilt ! I love your quilts and tutorials. Thanks so much for sharing.